The Abante team had been preparing diligently to minister at the Candelero de Oro Church of God in the city of Bayamon. Rev. 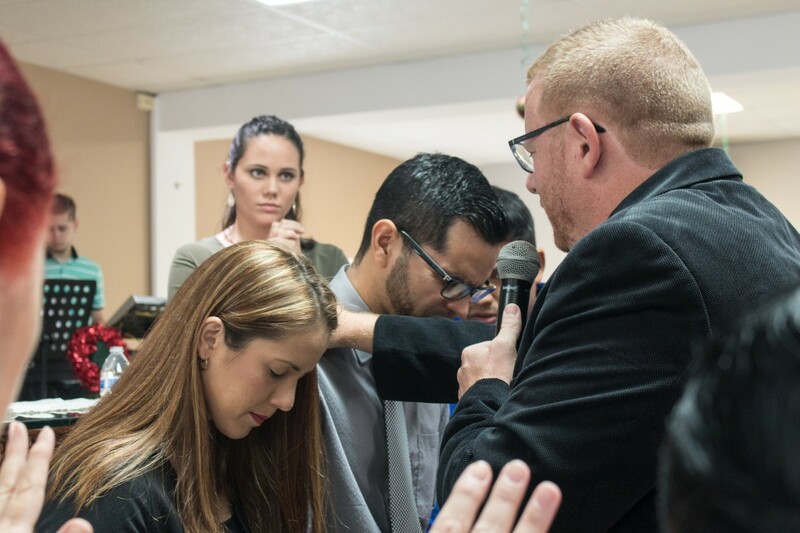 Melvin Rodriguez and his wife Valerie were conducting their very first service as the new pastors of this congregation, which made the invitation a special one. Founding Director Brian Schlottmann delivered the message with the collaboration of Colleague Violeta Haro-Oropeza. Meanwhile, Colleague Catherine Stewart shared a testimony for the first time, while Executive Assistant, Diana Cruz Ayala, served by facilitating translations from English to Spanish for the Spanish speaking congregation. The colleagues enjoyed this opportunity to serve Pastor Rodriguez and his congregation because they understand when serving others through love, they become a target for a blessing as well. The passage used for the message that morning referred to the story of David taking a census of his soldiers –an action that clearly defied God’s rule over his people. Even though David committed a sin by doing this, he quickly repented and God showed him mercy. The tag-team format of the sermon, was a new concept to this congregation, however, the message was clear, and it became evident when sharing personal experiences. As colleague Cat Stewart shared her personal testimony, many connected with her words. Catherine has experienced hardships in her life, but it was evident as she shared her story that God had been present, as a loving father figure. “I didn’t know my testimony could be so impactful,” she stated with excitement seeing how people were ministered to, and as they later thanked her sincerely for sharing.